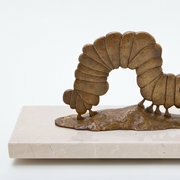 In 1999, while taking time off from making picture books, Eric Carle created a collection of about a dozen animal maquettes. 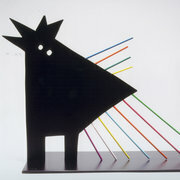 In 2000, six of these animal sculptures were replicated in limited editions of 50 each. These unique pieces were reproduced by the studio of Tom Raredon who specializes in one-of-a-kind high-end metal works in Florence, MA. 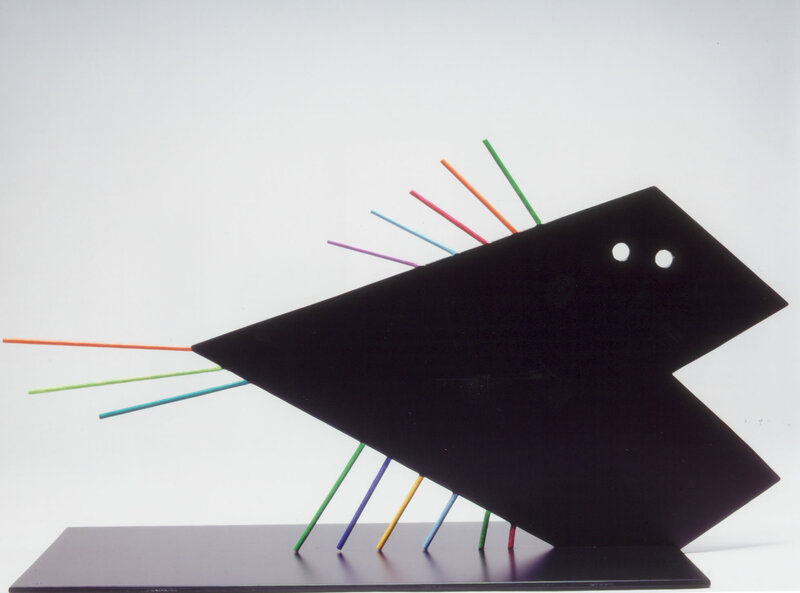 Originally created by Eric Carle in black foam core and thin wooden dowels, these metal sculptures have a matte finish, are painted in powder-coated paint and include hand-finished spines painted with bright and colorful acrylics. 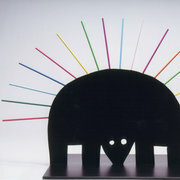 The limited editions, which include sculptures of a Rooster, Bird, Cat, Owl, Fish and Porcupine, are an extension of Eric Carle's fascination with the natural world as well as his deceptively simple design style that he has expressed for many years in his more than 70 books for children. Measures 12.25" high x 19" wide x 10" deep. Please note: Due to the size and value of this product, additional shipping fees may apply.